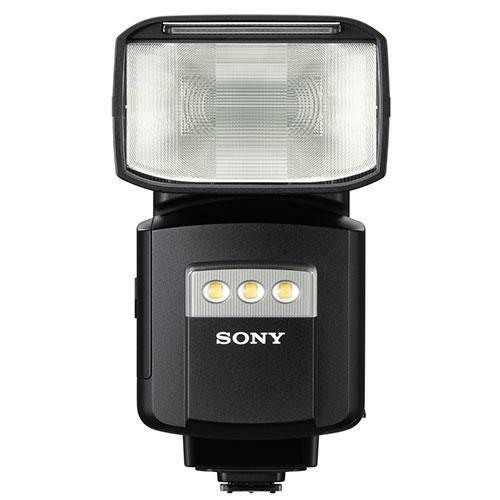 The Sony HVL-F60RM clip-on flash unit features a high Guide Number of 60, high-speed continuous shooting support, and fast operation that are ideal for advanced to professional users. Wireless radio commander/receiver functionality is included. 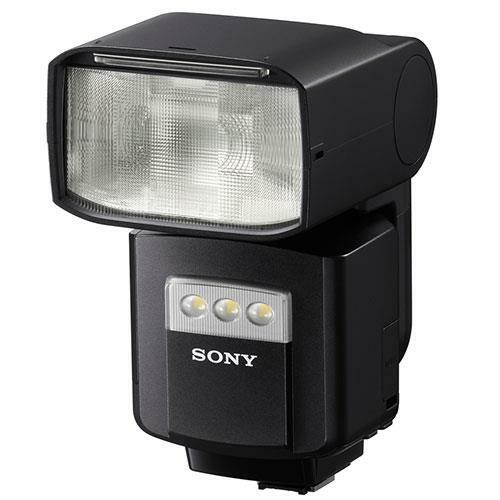 The high GN60 output of this clip-on flash unit provides plenty of power for a wide range of shooting situations. 20mm to 200mm (14mm with wide panel) lens focal lengths are supported with corresponding flash coverage. The focal length can be selected as required. Quickly shift from horizontal to vertical orientation, 90° left or right, upward by up to 150°, and downward by 8° for flexible positioning and optimum lighting when frame angles need to be changed quickly. A refined compact mechanism is ideally matched to E-mount cameras, complementing the compact convenience and portability of the E-mount system. Functions can be freely assigned to the unit’s four-way controller, center button, and control wheel for easy access when required. 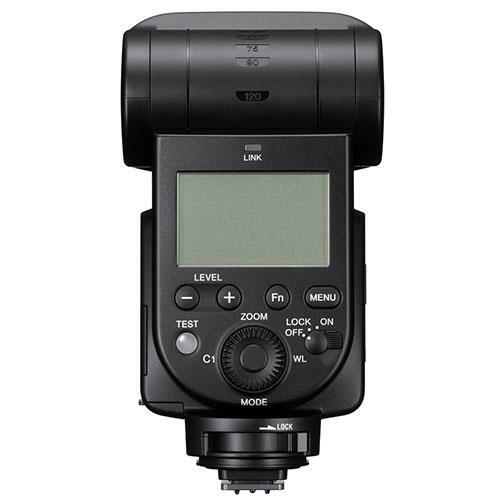 What’s more, TTL flash output can be memorized and recalled when needed for immediate use or use after minor adjustment. This is another feature that can simplify manual workflow and save time. An independent light output level button (LEVEL -/+ button) allows direct control of output or compensation for efficient workflow. A comprehensive display facilitates adjustments and flash output level confirmation, and also provides intuitive access to flash output settings for paired wireless flashes. LEVEL -/+ button LCD panel. A dust and moisture resistant design ensures reliable operation in harsh environments. A Rain Guard (optional) provides even further protection and reliability. Another feature that contributes to reliability is a metal Multi Interface Shoe. All of these features add up to enhanced reliability in challenging situations. Both optical remote flash triggering and wireless radio triggering are supported. One HVL-F60RM mounted on a compatible camera paired with off-camera units provides reliable, interference-free radio communication in conditions that would make optical communication difficult. Slow sync, rear-curtain sync, and multi flash are supported. Normal maximum flash sync speeds mean that the shutter speed must be stopped down when using daylight fill flash, making it difficult to produce background bokeh. High-speed sync allows the flash to be synchronised to the full range of shutter speeds so that large apertures can be used to create bokeh wherever desired.